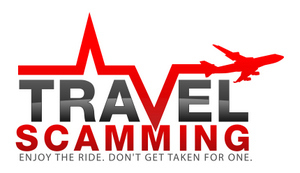 One travel scam that is prevalent in many countries, but especially in Thailand, is done by the police themselves. In this police scam, they will come up to you and ask to see your passport. The police will then tell you that something is wrong with your visa. This can be very scary, as they will put a lot of pressure on you and make you feel like you will immediately have to leave the country. They will then tell you that everything can be resolved if you pay a small fine to them in cash. You can avoid this scam by just refusing to pay. If they insist, then tell them you will be glad to go to the police station and take care of it there. All of a sudden, you will hear them say they will let it go “just this one time.” Sometimes the police who accost you aren’t even real police but just people who are impersonating the police. Don’t fall victim to this scam. Another common police scam is one in which they will stop you for a minor motorbike or traffic infraction. They will often tell you that if you pay them a small amount of money right on the spot that they will not write you a ticket. In this case, if you did commit a traffic infraction it is often better to just pay them then to be written a ticket for a larger amount. Also, when traveling, if you are suspicious that the officers who approach you are really police officers, always request to go to the police station before handing over your passport or your wallet. If you don’t want to do that, request their ID, and call the police station to verify their identity. 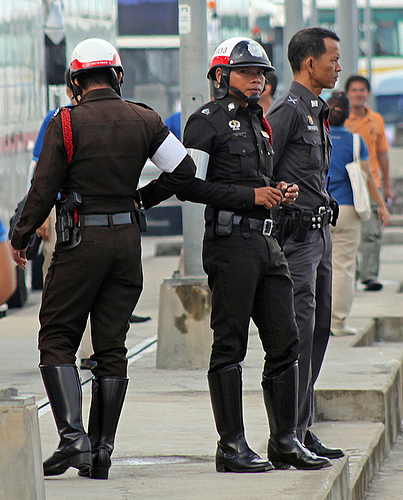 Thai police officers are genuine con men. Try to stay away from them ! Reeon recently posted…La Full Moon Party de A à Z ! In Thailand since you are a foreigner, everything is a scam since there are not tariffs exposed and you do not understand the language, usually there are two kind of prices: For locals and for westerners , which are discriminated and called Falan.